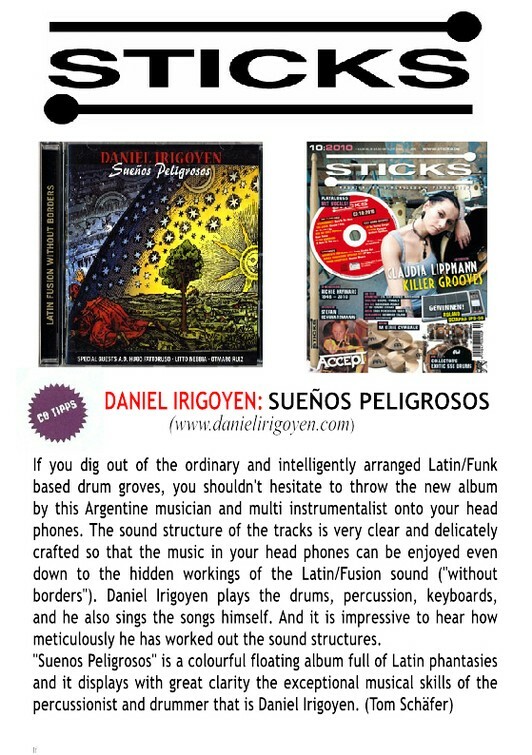 The CV of this remarkable Argentine musician sounds impressive - and that's only by looking at the Spanish version. 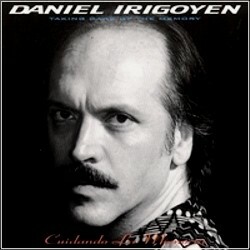 But the translation confirms this impression:Born in Buenos Aires in 1950, Daniel Irigoyen started his musical career in 1969 as the bandleader and vocalist of "Los Mentales", a Spanish speaking so-called "Rock Nacional" Band. He was rewarded the "Best Vocals" Award at the "Festival de la Nueva Cancion" in Buenos Aires.After having travelled extensively through Europe and the United States, he left Argentina for good in 1974 (under Military Dictatorship at the time).Since 1976 he has been playing gigs in Hamburg, Germany. 1979 his first book comprising poems and prose was published.He participated in a lot of Jazz and percussion performances, among others with Felix de Luxe, Los Paraguayos and (who would have thought this): he accompanied Ex-Modern Talking Thomas Anders on his tour through Russia in 1990, etc. 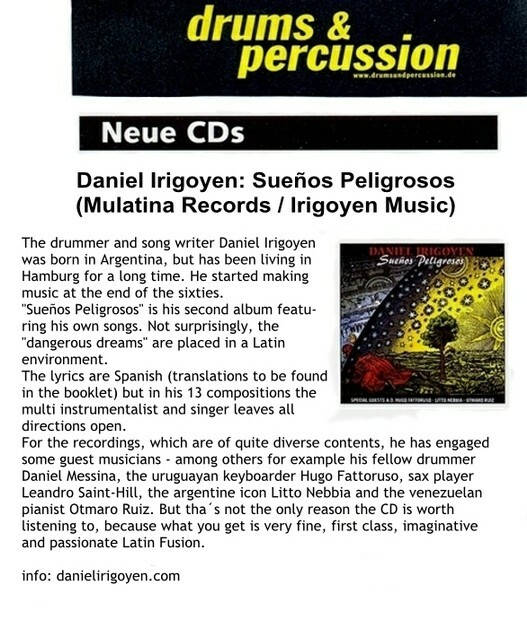 Even more moving and more impressive than this CV is his current work: The music on his CD "Cuidando La Memoria" is plesant and pensive throughout, sung in Spanish (English translations are included), ranging from Samba to Latinamerican Pop, rhythmically complex, but never overdone, engaging and cheerful.